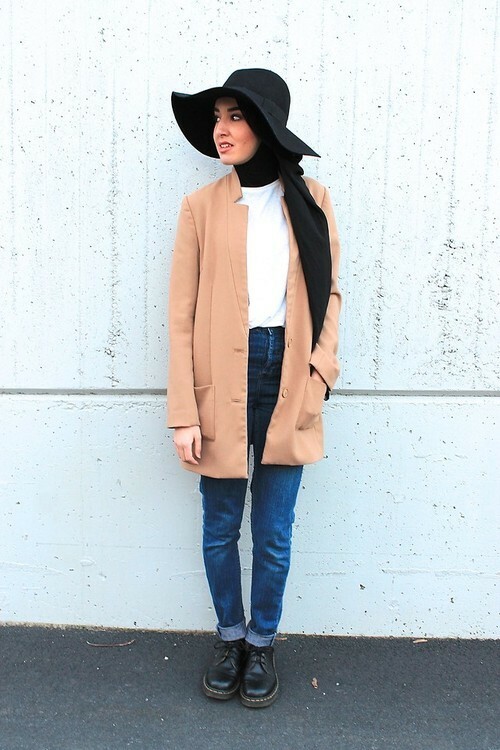 Hijab with Hat Style: In this modern world, every day our lives come across different invention; one of the most significant discovery was/ is the Internet. Now, when I quote the internet, I am referring to how people have opened their life to different social media, and other people follow them and learn from the wonders created in their life. Today, the interest in Hijab style is not limited to religion, but it has become a fashion statement. Usually, Muslim woman face a lot of difficulty with the pile of clothes; to think about trendy outfits, when they are planning holidays, e.g., mountain climbing, visit the beach or just to hang around cafés! However, the problem is solved with the growing trend of “hijab ers” that is no more limited to holidays, but it has turned into everyday outlook or even enforced in a lot of various events. Hijabi girls/women think it’s alright to wear a simple long black sleeved shirt under a tee shirt. The reason can be anything, i.e. to wear something comfortable or she is short on time. Honestly, it’s not only a bad idea, but also it is an unfinished outfit, be it a picture, quote or a pattern if you are wearing a long-sleeved shirt inside your tee shirt. On the other hand, you can work in a better way that is to wear a loose t-shirt and on top of it can wear some jersey or a jacket. Your black hijab might go with every single outfit you have in your closet, though it has a lot of advantages to it that you don’t have to match – you don’t have to shop for different pattern ones, on the contrary it has more or equal disadvantages to it i.e. you wouldn’t have a fashion style, state of your hijab not appreciable, all your pictures will look alike, so make sure to have variety of scarves to justify your style of the day. Add on a HAT in your Hijab look to gorgeous and graceful. And things to keep in mind while wearing a hat along with your scarf make sure to keep few things in mind: i.e. to tie a low bun that your hair but is not an obstacle while you pull your hat down, to buy a wider and bigger size of hat as you will be wrapping a scarf around your head, prefer buying thin scrap so that give your hat enough space to adjust around your head. and most important point don’t forget to pin your scarf even if you have a hat; what if due to climate change you feel like taking it off? 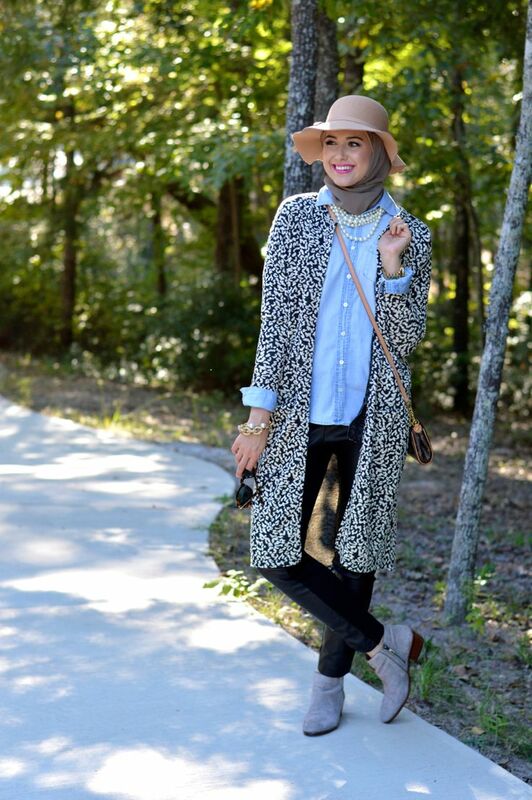 Let’s look at Hijab style with hats that can make your appearance more stylish and trendy. But first, we’ll begin with a video tutorial on wearing hijab and cap for one of the most important days of our lives – Graduation! ↓18- White Round Hat and Hijab with Boots. Planning a day out at beach, then the best idea to highlight your femininity is to grab a vibrant color like blue, wear a skirt with polka top, make sure to keep your scarf similar to skirt and wear a flattery wider hat with a crafty look in it, that would symbolize your cool look up. Want to get all the attention today? 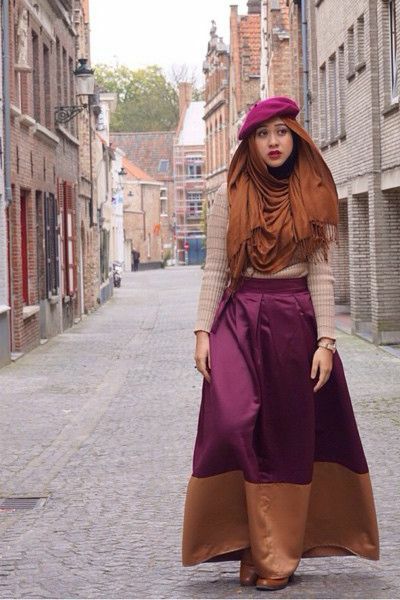 Where your hijab in the trendiest way by matching up contrast colors like purple and brown and don’t forget to grab a matching beret hat. We all know, jeans are the most casual and convenient option. So, if you are going out with your girls for a meet-up and want to dress up a little bit groovy. Then grab your bright red pants, pastel color button-down top, add a colorful pattern coat with your Grey hat and black scarf. ↓14- All Ready for work! 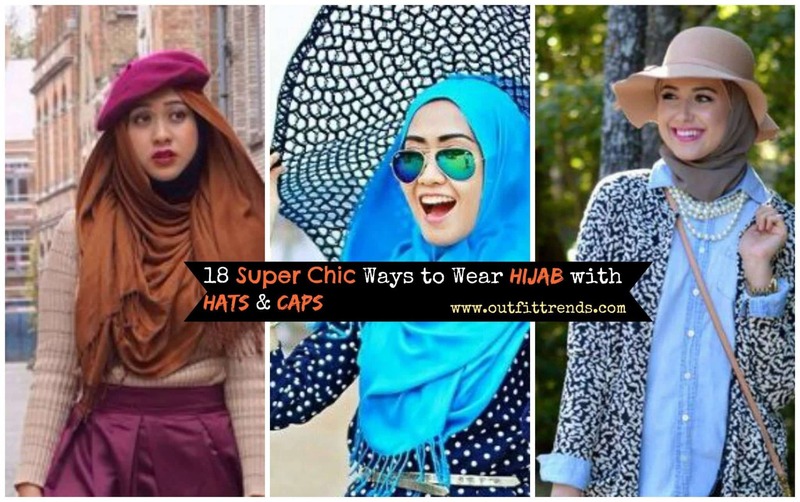 We hope you’re enjoying all these ideas, but we also know that it’s not possible to buy all these hats, so what you can do instead is, learn from this video how you can wear the same hat with a different hijab style. And you’ll have a new look every time! Women, who prefer hijab and is looking for a glory style then why not match up your white dress pants, cream scarf and a coat with a wide, round maroon hat! ↓ 11- Hijab with Baseball Cap for a Casual Sporty Outfit! Are you looking for a ruffled loose dress up? Then grab-baggy bright color pants like orange along with a loose tee and a matching scarf with a baseball cap and give your best tomboy look! Call out to all Hijabi Women follow Diana Kotb, who prefers to launch dresses that more into vintage style! They this is the best time, find out a long white dress with your naked color heels, and wear around the cream color hat with it. And don’t forget to tie a belt around your waist to make your appearance complete. How cute is this picture of the girl traveling in Venice with her hijab and a ruffled hat?